DES MOINES, Iowa -- Amid a massive frozen foods recall involving millions of packages of fruits and vegetables that were shipped to all 50 U.S. states, Canada and Mexico, authorities who want to stem the listeria-linked illnesses and deaths worry it'll be difficult to get consumers to dig through their freezers and check for products they may have bought as far back as 2014. 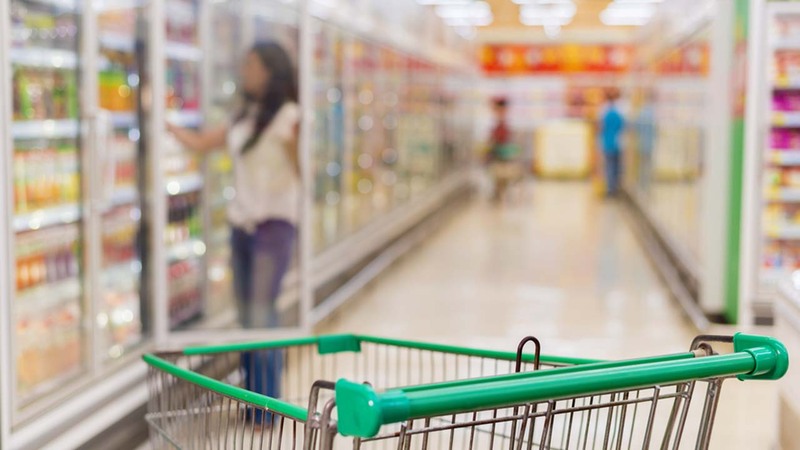 It's one of the largest food recalls in recent memory, with well over 400 products from CRF Frozen Foods in Pasco, Washington, sold under more than 40 different brand names at major retailers like Costco, Target, Trader Joe's and Safeway. So far, eight people have been sickened by listeria that's genetically similar to that found in CRF vegetables, and two have died, though listeria was not the primary cause of death. "Unquestionably, this is a lot of product. ... It reflects the severity of listeria as an illness, the long duration of illnesses and the outbreak and the long shelf life of the products," said Matthew Wise, who leads the outbreak response team at the federal Centers for Disease Control and Prevention. The initial recall started April 22, covering 11 frozen vegetable products. On May 2, CRF expanded it to include all of its frozen organic and traditional fruit and vegetable products manufactured or processed at its Washington plant since May 1, 2014. Thanks to recently developed whole-genome sequencing of food-contaminating bacteria, the Food and Drug Administration and CDC found that the listeria bacteria found in the blood of a person sickened in 2013 is genetically similar to the listeria tied to the recall. "The idea is that it's possible that it could be linked to this plant as far back as that because of the match. As a result the company, working with the FDA, decided to do the recall that far back," CRF spokesman Gene Grabowski said. The CRF plant closed two weeks ago and Grabowski said the company is still trying to pinpoint the source of the contamination. Wise said his concern is that consumers check the online recall lists discard the products from of their freezers. "Listeriosis always makes us worry because it's such a serious infection," he said. The CDC says listeria is most harmful to adults over 65 with weakened immune systems and pregnant women. Products were both packaged for sale as individual products and repackaged by places like Piggly Wiggly, Kroger and ConAgra foods as ingredients in a host of other store-brand and private-label products for stores like Trader Joe's and Costco. Also, retailers including Target and regional distributors such as Midwest grocery chain Hy-Vee Foods have recently recalled products made by Tokyo-based Ajinomoto Windsor due to the company recalling 70 of its Asian variety products that contain CRF vegetables - about 47 million pounds worth - some of which were also sold in Canada and Mexico. The FDA and CDC have developed a system to track the genetic makeup of salmonella, listeria and E.coli. Once a food-related illness outbreak is identified, scientists can match the DNA from contaminated food with the bacteria making people sick and potentially trace it to the originating food processing plant. In this outbreak, of those eight who were sick, six were in California. The two people who died were from Maryland and Washington. Authorities say it's unclear why there are not more illnesses from listeria. Wise said that the levels of listeria contamination might not be high or may be uneven in the packaged vegetables. Also, the vegetables in the recall are typically cooked before they're eaten, which would kill the bacteria. The CDC continues to monitor state illness reports for any sign of additional cases, Wise said. Listeria causes an estimated 1,600 cases illnesses each year in the U.S., but just half are reported. About 18 percent of listeriosis patients die. FDA spokeswoman Lauren Sucher said it's important to follow label directions for cooking frozen foods and to check freezers thoroughly for the products listed on the FDA website.